1. Pour some salt in the freezer bag and add a piece of sidewalk chalk. 2. With the bag sealed, rub the chalk against the salt in the bag until the chalk color begins to rub off. 3. 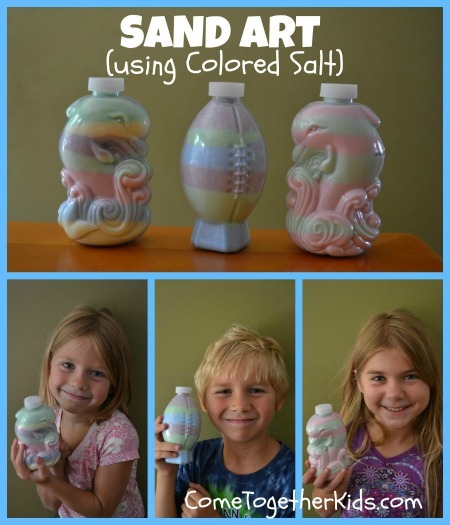 Use a funnel to pour the colored salt into your sand art container. 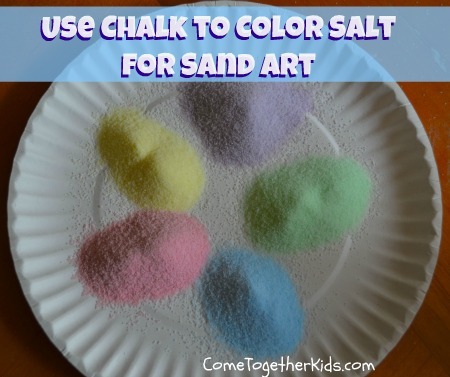 Repeat the process with more salt and different colors of chalk until you have all the colors and layers you want. That's it! Look at these fun finished projects! The containers...where can I purchase ones like these? I have only seen the small plain bottles. I picked up the containers at ACMoore craft store, but most larger craft stores should have something similar. Boy oh boy, this is fantastic! We are gonna try this out! This worked great! I was skeptical because it seemed too good to be true, but it was a great frustration-free activity for my 5 year old :) we changed it a bit by using the sand to do glue art on paper. Thank you for the idea! That is awesome! We're going to have to try that today. Oh that's so pretty. 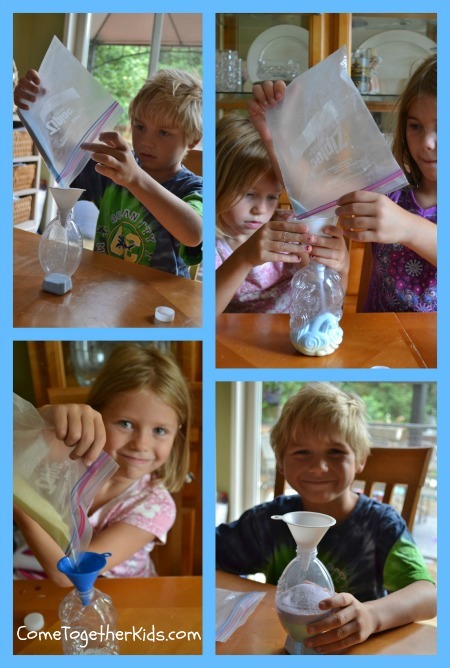 I love this activity, it would be great for making pictures too! post an average of million fifteen-second videos of themselves daily. musically.io Register for the person's account so they can see more of their. There are less expensive other options to PC kids coloring pages and give the same amount of if not greater happiness to your tyke but rather additionally use the two sides of the paper double the measure of time on one bit of paper. wow, the kids are smart and creative, their pictures are amazing.